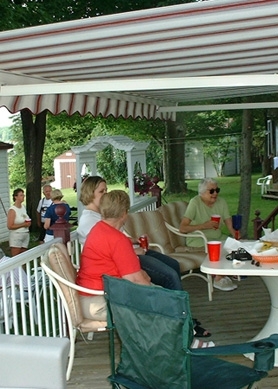 MacDonald Awning & Shade Products has the practical and attractive solutions for you to get the most pleasure out of your backyard. 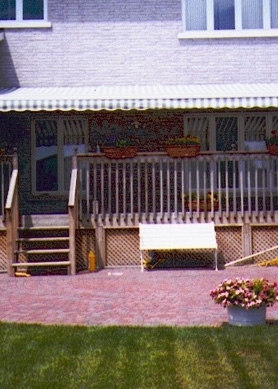 MacDonald Awnings & Shade Products has been manufacturing awnings for over 40 years. 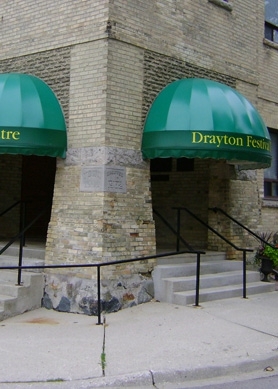 In the early years, most awnings were made of aluminium. 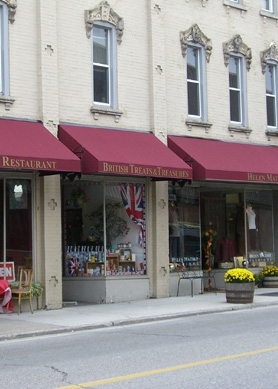 For the past several years, most awnings have been made with fabric or vinyl, and demand has increased significantly. 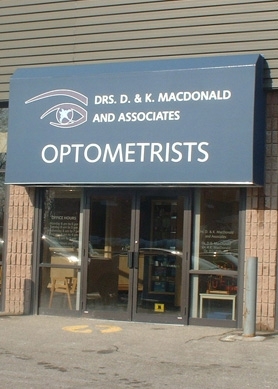 All awnings sold by MacDonald Awnings & Shade Products are assembled locally at the company's facility on Hoffman Street in Kitchener. 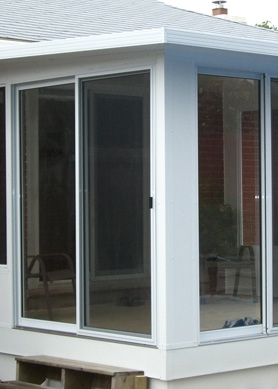 A visit to MacDonald Awnings & Shade Products' showroom is a good way to learn how to turn your patio or deck into an oasis in your own backyard. 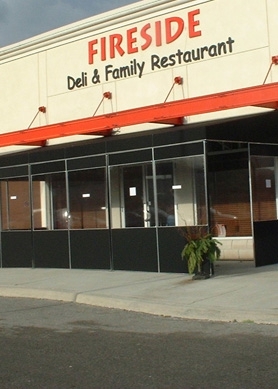 MacDonald commercial awnings can also be found on the store or office fronts of many businesses in the local area and across the province. 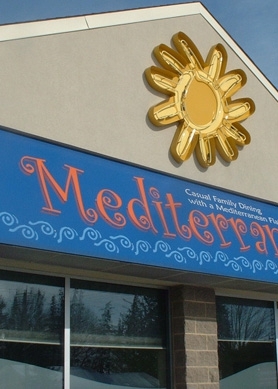 These backlit awnings are customized with graphics and offer businesses an alternative to conventional business signs. 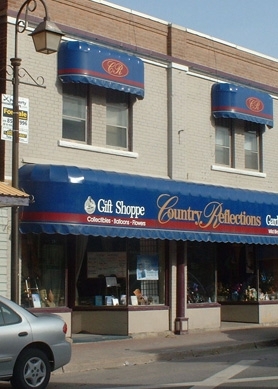 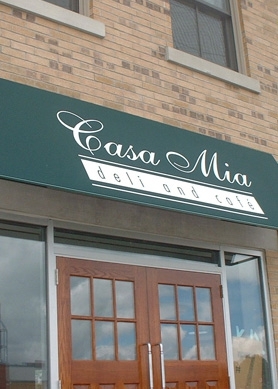 This type of awning adds a new look to the facade of the business. 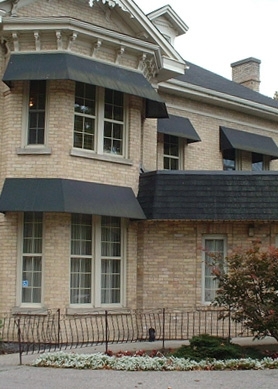 Examples of MacDonald Awnings & Shade Products' work can be found at Langdon Hall in Cambridge, The Aberfoyle Mill in Aberfoyle, and the Revlon offices in Toronto.